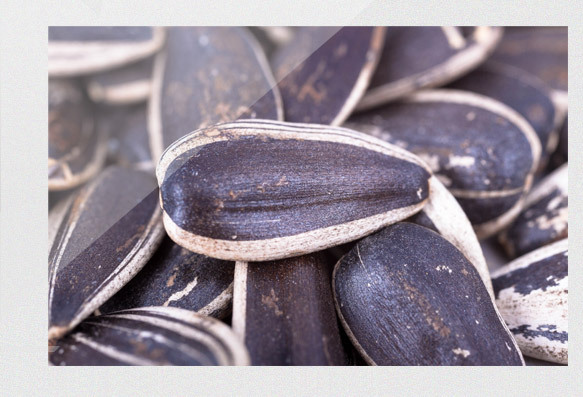 The largest confection sunflower seeds traded directly with hull are called INSHELL. These seeds are oval shaped, grey or black with white stripes. They vary according to size and are normally diameter graded using round hole gauges and sieves. The product is named according to its diameter, both in inches and in millimeters.